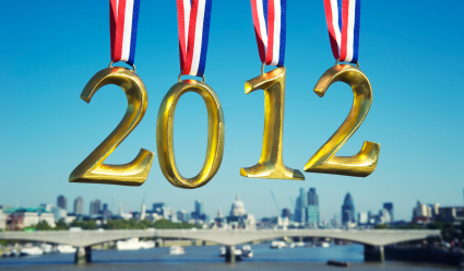 When I first raised my doubts about the London 2012 Olympic ticketing system, Which? Convo reader Nate commented that the system might be worthy of a super-complaint. It still seems bizarre to me that applications closed on 26 April, the money will be disappearing from your account anytime from 10 May, which is before you find out exactly which tickets you’ve won (on 24 June)! And at the time of writing this, I can’t find any further details about the ticket resale site that’s apparently due to go live in 2012. You see, you won’t be able to sell your unwanted tickets on eBay, and this will be enforced vigorously by the Olympic’s committee. The maximum fine for selling tickets on the black market has even increased from £5,000 to £20,000! So the only way to sell your unwanted tickets is to wait for the official resale site to launch in 2012. In the meantime, there could be hundreds of thousands of us stuck with tickets that we don’t know how to, or even whether we can, resell. Assuming even a fraction of us have put the purchase on our credit cards, or have gone into overdraft to pay for the tickets, that’s a lot of interest being paid. I’m not absolving consumers of all responsibility in the matter – there is a strong argument to say that we should only have applied for the tickets we can actually afford. Then again, this may well be the only chance in our lifetimes to buy tickets for a UK-hosted Olympic Games. So I’m not sure about you, but I feel like I’m being forced into taking a gamble with my finances or risk missing out on the Games altogether. Starwoodw – Interesting news about I.D checking! Thanks. Went to see Woman’s football at Wembley capacity 90,000 – there were 70,000 spectators. The majority of the empty seats were opposite the players tunnel and consisted of large blocks of seats, I tried to do a rough estimate and came up with 13,000 empty. Still a god match and arragements to get on tube to London at Wembley Park worked well. Result 1 : 0 to GB !! You’re in point of fact a just right webmaster. The site loading pace is amazing. It seems that you are doing any distinctive trick. In addition, The contents are masterwork. you’ve done a fantastic job on this subject!